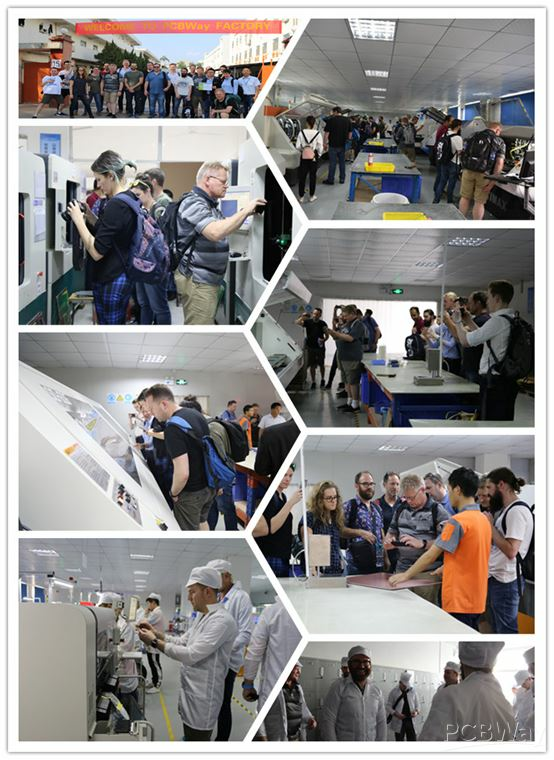 Abstract: On November 12, 2018, PCBWay was honored to receive a team from Australia and visit our factory, which was led by Ms. Vela who was the founder of HardworX. HardworX is a company which helps growth stage startups and scaling SMEs unlock the power of hardware by demystifying manufacturing and the hardware supply chain, helping them get to scale successfully and sustainably. 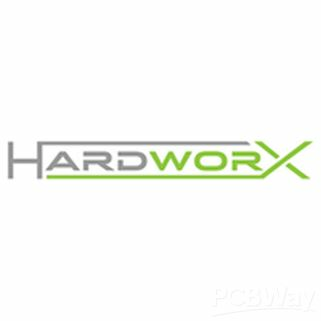 HardworX provides consulting services to growth stage startups and scaling SMEs as well as workshops and international innovation tours for early stage hardware startups. Earlier, we learned that HardworX planned to visit the factory in China in November this year, so Anson Bao contacted Ms. Vela and offered to invite them to visit PCBWay factory. Fortunately, Ms. Vela gladly agreed, so we arranged them to visit the factory on November 12. After finalizing this matter, we began to do some preparatory work. How time flies! November 12 is here. We finally met our long-awaited friends--- Ms. Vela and her team. 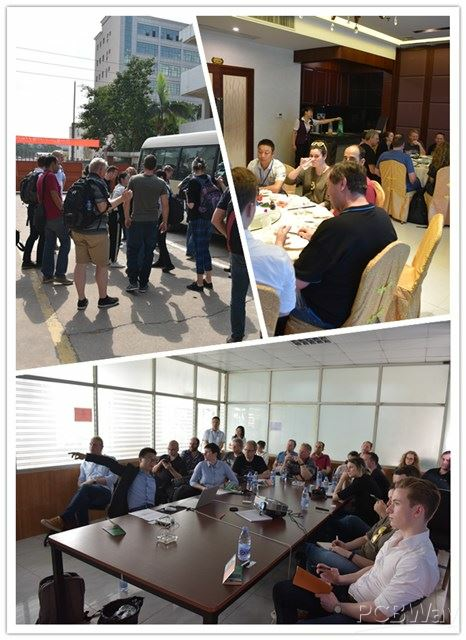 As the journey took a lot of time, it was already 12:00 noon when the team arrived at PCBWay factory. Therefore, in order to better entertain our guests from afar, Mr. Bao and Mr. Xiong specially took them to taste the local special food in Shenzhen. Apparently, Ms. Vela and her friends from far away are also very satisfied with this arrangement. After lunch, Mr. Bao first introduced our products, services, advantages and future vision of PCBWay through PPT presentation. After the PPT presentation, Ms. Vela's team visited the factory under Mr. Bao's guidance. They took a close look at the whole process of PCB production, including cutting boards, drilling, deburring, silkscreen printing, v-cutting and so on. Throughout the manufacturing process, Mr. Bao explained each of these processes and equipments of PCB production one by one, and allowed the team members to ask questions or take photos by themselves. The beautiful moment always passed quickly, and as the production process came to an end, so did our visit. We are very happy to invite Ms. Vela's team to visit the PCBWay factory this time. Thank you again for coming from afar to visit PCBWay factory. Sincerely hope that in the near future, we will have the opportunity to meet again and it would be better if we can establish a good cooperative relationship! Enter the year of your birth and check your Chinese Zodiac.